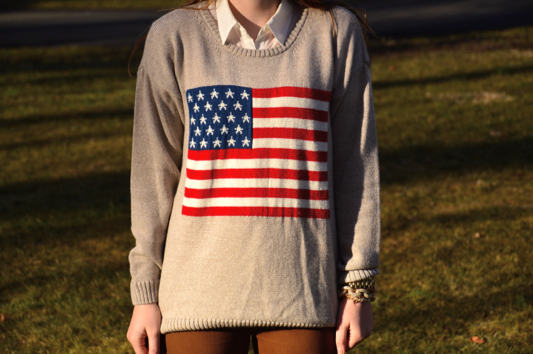 Lately, I've been loving flag sweaters. I picked up a couple from Brandy Melville, and I've been wearing them non-stop. I love how you can mix them with classic pieces or edgier pieces to create a different look every time. 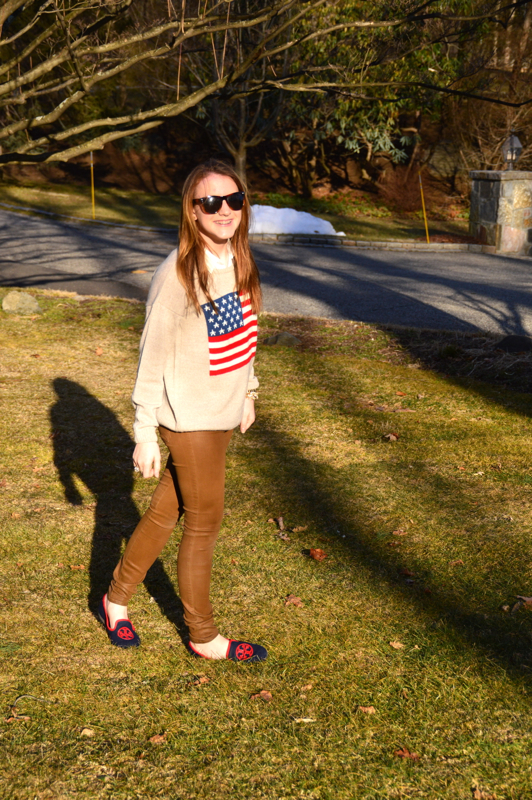 For this outfit, I kept it classic with a collared blouse underneath for a preppy New England look- see my post on New England style here. My jeans are my favorite skinnies; coated jeans from Rich & Skinny. I color-coordinated the shoes to match my sweater. Gold arm candy, and simple sunglasses complete the classic look.